Evelyn M. Scheiding Wittler, 92, of Beatrice, died Wednesday afternoon at the Homestead House in Beatrice. She was born on November 28, 1926 at rural Plymouth and graduated from Plymouth High School in 1943. She married Alvin F. Scheiding on January 14, 1945 at St. Paul’s Lutheran Church in Plymouth where she was an organist for many years. They were blessed with two sons. She moved to Beatrice in 1985 and was a member of Christ Evangelical Lutheran Church and the Beatrice Federated Women’s Club. She married Orville Wittler on February 14, 1998 at Christ Evangelical Lutheran Church. She enjoyed her family, her home and music. Survivors include two sons, Donald (Lyn) Scheiding and Dennis Scheiding all of Beatrice; two grandchildren, Brett (Amanda) Scheiding and Ashley Reyes Picache; two great-grandchildren, Maya and Phoenix; step-children, Carol Janssen, Lorna (Charles) Hohbein, Ralph (Linda) Wittler, Wayne (Berta) Lomax, Toni (Steve) Spilker, and Judy (Larry) Kassebaum; sister-in-law, Elva Scheiding. She was preceded in death by her parents, Harry and Emma Boeckner Spilker; husbands, Alvin Scheiding, who died on June 6, 1985 and Orville Wittler, who died on March 20, 2017; one brother, Allen Spilker. Funeral services will be held at 10:00 A.M. on Monday, January 28, 2019 at Christ Evangelical Lutheran Church of Beatrice with Pastor Joshua Hillmann officiating. Burial will be at the Evergreen Home Cemetery of Beatrice. A family prayer service will be held at 9:45 A.M. on Monday in the fellowship room at the church. A memorial has been established to Christ Evangelical Lutheran Church with the church elders in charge. The body will lie in state at Fox Funeral Home from 12:00 noon to 8:00 P.M. on Saturday and Sunday and at the church one hour preceding the services on Monday. www.foxfuneralhome.net Fox Funeral Home of Beatrice is in charge of the arrangements. 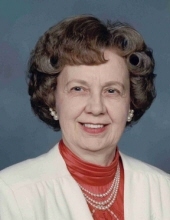 To send flowers or a remembrance gift to the family of Evelyn M. Scheiding Wittler, please visit our Tribute Store. "Email Address" would like to share the life celebration of Evelyn M. Scheiding Wittler. Click on the "link" to go to share a favorite memory or leave a condolence message for the family.